Oxford University Press, USA, 9780190668013, 256pp. For the first time since the end of the Cold War, the world is steadily becoming less democratic. The true culprits are dictators and counterfeit democrats. But, argues Klaas, the West is also an accomplice, inadvertently assaulting pro-democracy forces abroad as governments in Washington, London and Brussels chase pyrrhic short-term economic and security victories. Friendly fire from Western democracies against democracy abroad is too high a price to pay for a myopic foreign policy that is ultimately making the world less prosperous, stable and democratic. 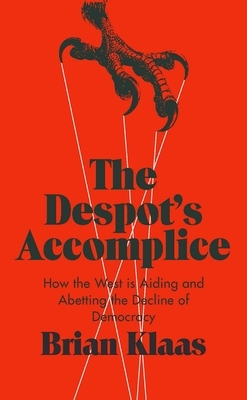 The Despot's Accomplice draws on years of extensive interviews on the frontlines of the global struggle for democracy, from a poetry-reading, politician-kidnapping general in Madagascar to Islamist torture victims in Tunisia, Belarusian opposition activists tailed by the KGB, West African rebels, and tea-sipping members of the Thai junta. Cumulatively, their stories weave together a tale of a broken system at the root of democracy's global retreat. Brian Klaas is a Fellow in Comparative Politics at the London School of Economics, where he focuses on democratization and political violence. He has advised several national governments and major international NGOs, including International Crisis Group, the Carter Center, and One Earth Future. Klaas received his doctorate from the University of Oxford. The author has written op-eds for The New York Times, Financial Times, Los Angeles Times, USA Today, Foreign Affairs, Foreign Policy, and Minneapolis Star Tribune. Starting September 2016, he now has a column in the Washington Post.